“The Draw” Opens this Friday! We’ve got good news for bikers and pedestrians in Sugar House! “The Draw” — the tunnel that goes under 1300 East to connect Sugar House Park to Hidden Hollow — is opening this Friday, June 6. 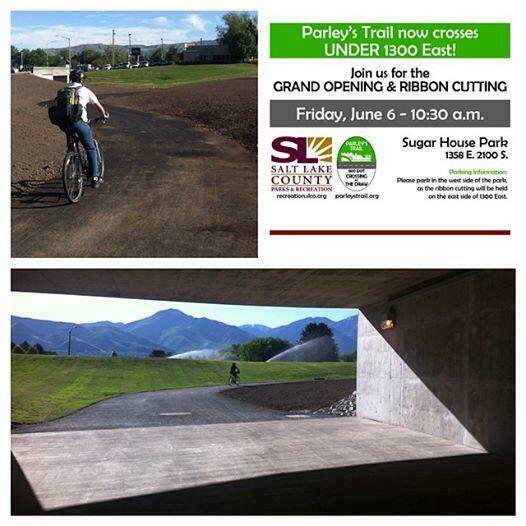 You are invited to attend the grand opening and ribbon cutting at 10:30 a.m. this Friday at Sugar House Park. You can learn more about this exciting project via Salt Lake Magazine.